Don’t miss any news from Taos. You can read The Taos News as an e-edition from the comfort of your home or while you travel. 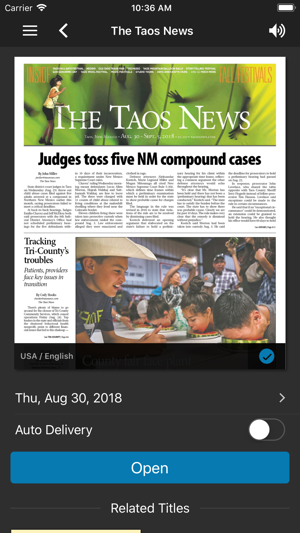 The Taos News app delivers the entire paper to you on Wednesday night – so you get the paper even before it hits the streets. The e-edition is an exact replica of the print newspaper and is set up as an e-reader with easy features for browsing. Thank you for supporting The Taos News, your locally owned, family-owned community newspaper. 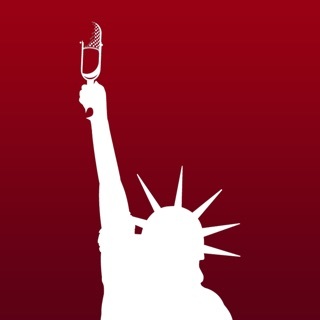 Login with your taosnews.com account, or visit taosnews.pressreader.com for more info. 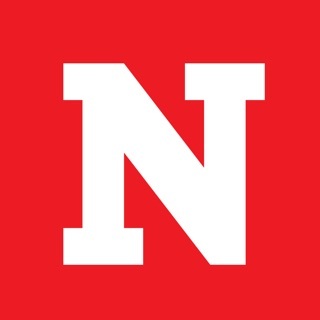 This isn't the best newspaper app, but it's far from the worst. It's a bit glitchy in places, and the slightest wrong touch will send you miles from what you were looking at. The subscription rate is more than fair though and the Taos News is a great paper. There's room for improvement in this app, but overall I'm happy with it. Doesn't work, takes your money and then leaves no ability to contact Publisher to fix. Love the paper; not the app. The pages are entirely blank. I tried this on a iPad air and nothing works. 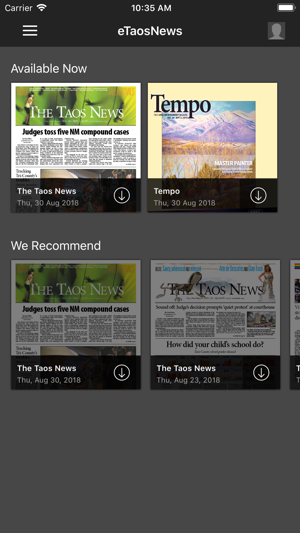 Love the Taos News but this app hasn't been updated since 2012.